A cap in registration numbers â€“ which means room to DANCE! A showcase at the end of the convention where selected dancers have the opportunity to PERFORM and plenty of scholarship opportunities! We are not your average CONVENTION ! Our goal is to provide a unique experience for dancers. We will be the most sought after CONVENTION out there! Tap only = no tapping on carpet! For teachers, ages 21 & Over, allows full access to the convention, including the opportunity to partake in classes. Teachers and/or Teacher Assistants who are currently competing are exempt from this offer. Registrations are not considered confirmed until full payment is received. Registrations will be accepted on-site at the convention, providing space is available. Please contact us ahead of time to determine space availability. Confirmations and receipts will be made available upon time of registration via email. All registrations are non-refundable, other than an event being cancelled by MOVE Dance Convention. Only upon extreme and extraneous situations, supported by a physician's note, will registration fees be considered for a credit towards a future event. Any payments returned as NSF or reversed, whether by cheque or credit card, will be subject to an additional $40 charge. Transfer of registrations is not permitted for any reason. Registrants will receive one wristband for the workshop that should be worn at all times during the convention. Lost or removed wristbands will not be replaced unless full repayment of the registration fee is made. 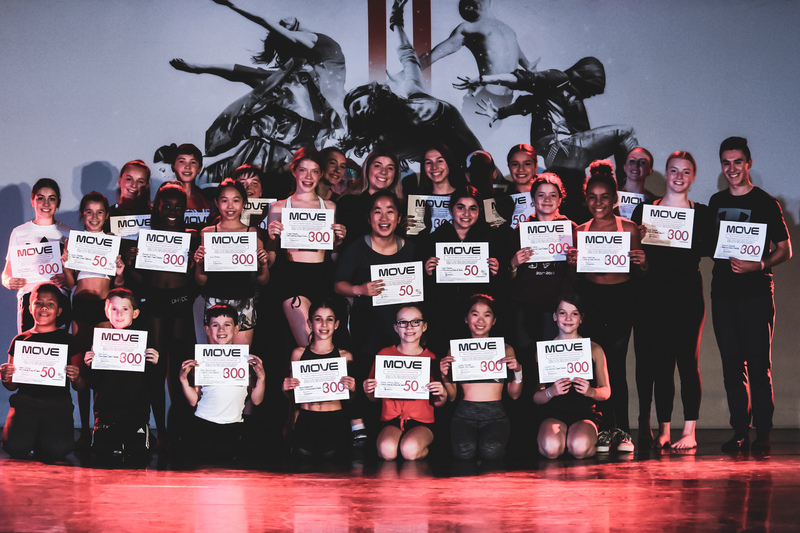 MOVE Dance Convention is authorized to use photographs and/or videos for advertising, promotional and marketing purposes. 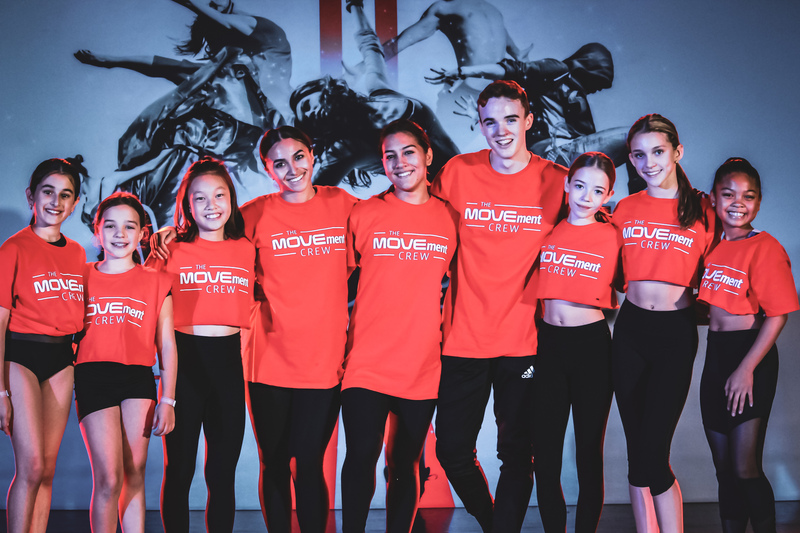 MOVE Dance Convention will be held harmless, along with its directors, employees, volunteers and independent contractors, from any and all claims for damages or injuries of any kind, nature, or description resulting from or related in any way to the participation in any MOVE Dance Conventions. 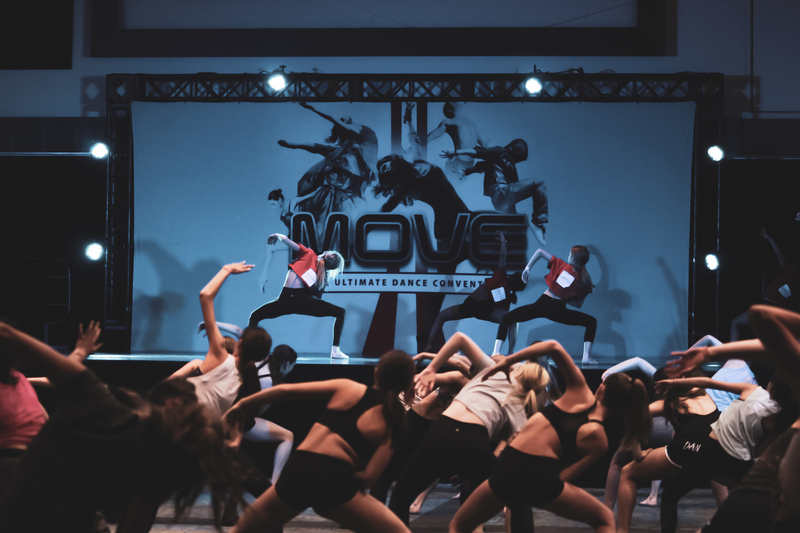 MOVE Dance Convention reserves the right to refuse, or remove, any person(s) who presents potential harm, dancer or disruption to themselves or anyone else while attending the event. MOVE Dance Convention faculty is subject to change. MOVE Dance Convention is not liable for failure to perform its obligations if such failure is as a result of Acts of God, war, government regulation, terrorism, disaster, strikes, civil disorder, curtailment of transportation facilities, or similar emergency beyond its control, making it impossible, illegal, or commercially inadvisable, or which materially affects its ability to perform its obligations. Upon registration, the undersigned agrees to indemnify and hold harmless MOVE Dance Convention, its appointed officials, employees, volunteers and others working on behalf of MOVE Dance Convention against any and all claims, demands, suits or loss, including all costs connected therewith by reason of personal injury, including bodily injury or death and/or property damage, including loss of thereof, which arises out of or is in any way connected with this event. David Cox has been dancing since the age of 2, as he was brought into this world by a musical family. His father a Motown artist and his mother a dance teacher. At 13 he made his first trip to NYC on scholarship, and that would change his life forever. Studying with some of the best dancers in the world he began to realize that Tap dance was his passion not forgetting his extensive training in jazz, ballet and modern. Since becoming a professional around 15 he has gone on to perform for and at the following...YTV Achievement Award Winner 1999 Dance Catagory, 'Bojangles' the showtime movie staring Gregory Hines, the international sensation 'STOMP', Juno Awards, Toronto International Film Festival, Vancouver Jazz Festival with Kinnie Starr, The Duke Ellington Society, Save The Last Dance pt2, talked Tap and Tapped with Shelagh Rogers (Sounds like Canada CBC Radio 1) , Bravo Fact 'The Hoofers Club, and has performed for the speaker of the house, and Prince Charles to name a few. He is also a member of the T.O based Dance company NEXT TIP. He has been on MTV Canada as a choreographer and dancer for "MTV Live: Dancing with the Hosts". Most recently David has shared his passion with the world, as a performer in the Vancouver 2010 WInter Olympic Games Opening Ceremonies. His happy go lucky and energetic attitude is contagious to those around him, and urges others to pick up a tap and discover the music they can make. Here's to the 2nd Balcony...Keep it Real! 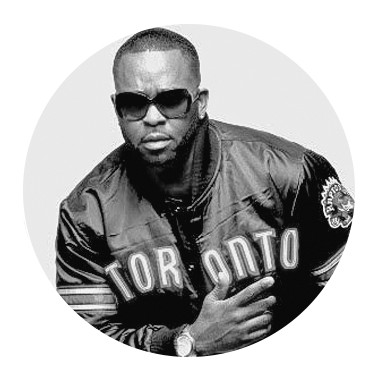 His exceptional work speaks for itself and as a result, has allowed him to work with world renown artists such as Janet Jackson, Diddy, Nicki Minaj, Alicia Keys, Brandy, Shawn Desman, Keshia Chante, Victoria Duffield, Jully Black and many, many more. Luther was a featured choreographer on the most recent season of â€˜So You Think You Can Danceâ€™ seasons 9 - 12 in the U.S. and was a resident judge & choreographer on the hit series â€˜So You Think You Can Dance â€“ Canadaâ€™ for 4 seasons. And most recently choreographed a special opening ceremony alongside Cirque Du Soleil for the 2015 Pan American Games in Toronto, Canada. With his passion for dance and a drive to continuously challenge himself, Luther is considered to be one of the worldâ€™s best artistic directors and choreographers to date. His track record for success coupled with an amazing work ethic, Luther continues to make history by taking the vision of any project and creating a timeless piece of art. Devon was born and raised in Toronto. He has had the opportunity to choreograph for such projects as The Toronto Film Festival, as well as tap scenes for Honey, Universal Pictures, and Save The Last Dance 2. His music video credits include: Chris Brown's "Turn Up the Music," Ne-Yo's "Beautiful Monster," David Guetta + Chris Brown's "I Can Only Imagine," Timbaland's "Cop That Disc," Snoop + Wiz- Young's "Wild n' Free," BoA's "Energetic," K-OS' "Superstar + Crab Bucket," Yasmeen's "Blue Jeans," and many more. Devon has also performed on TV and stage for events such as the V.M.A. 's, Billboard Awards, BET Awards, DWTS w/ Chris Brown, So You Think You Can Dance w/ Ne-Yo, American Idol w/ Travis Garland and Stefano Langone, DWTS w/ Macy's All-Stars, DWTS w/ Jason Derulo, Korean Pop Star, BoA, and many more. He has also appeared in commercials for Marshall's, Cali-Max, Milk - Dairy Farmers of Ontario, Joe Fresh Clothing, and Lotto 6/49. Devon is always seeking to improve his craft within all dance forms. He is currently living in Los Angeles and teaching at Millennium Dance Complex, as well as across the U.S., Canada, and Europe. Born Nicolas Archambault on October 18, 1984, in Montreal, Qc. (Ca) Nico was introduced to dance at sev- en and started his professional career by age 14. He studied at the Academy of Modern Dance of Montreal (LADMMI), lived and trained in Paris between age 17 to 19 and attended prestigious workshops around the world. He soon ended up touring Canada, France, England, Egypt, Europe & South America, showcasing his talents and charisma as a versatile dancer. In 2008, he was awarded the title of Canada's Favourite Dancer as the 1st season winner of CTV's smash- hit "So You Think You Can Dance Canada", which subsequently saw him come back as a choreographer and guest judge for season 2, 3 and 4. In March 2012, France also called on him to assume the position of head judge in the 1st ever season of "So You Think You Can Dance France" on NT1 network. He was also the featured dancer in Janet Jackson's music video "Make Me" and danced live with the in- ternational superstar at the American Music Awards and at a series of shows in London (U.K.). In 2009, Wynn Holmes & Nico Archambault united forces to create Street Parade. Having worked and performed with artists like Sting, Mary J. Blige, K-Naan, Celine Dion, Ludacris, Janet Jackson and for shows such as So You Think You Can Dance, in Canada/France, as well as stage performances with various in- ternational dance companies and musicals, Nico and Wynn bring to their work a blend of contemporary and urban influences. Most recently, they conceived, artistically directed and co-produced the Canada, France, London & Switzer- land aired dance docu-drama series, "Ils Dansent", currently nominated for five gemini awards. Nico's involvement in various charities led him in 2009 to design a t-shirt in collaboration with clothing brand TXT Carbon and the Family Channel to raise funds for PrevNET, Canada's largest network dedicated to the prevention of bullying and in 2010/11/12, to work with Street Parade in Serbia with Rpoint's Roma kids, teaching them the art of dance and setting choreographies for their upcoming touring show "GRUB- B:The Musical", which has been selling out at the Montreal International Jazz Festival and invited to New York for the 2012 Lincoln Center Sumer Festival. Originally from Montreal, Canada, Vincent Noiseux started dancing at a young age and quickly discovered he had a passion for movement. It didn't take much for him to decide that dance would be his life and career. After training many years in Hip-Hop, Jazz, Contemporary, Ballet, Jazz Funk and Modern, he started working in Montreal, quickly becoming one of the top working dancers there and being invited to teach and choreograph across Canada. After competing on the Canadian version of So You Think You Can Dance as well as America's Best Dance Crew with Blueprint Cru, Vincent decided to push his career further and he made the move to Los Angeles. Vincent has danced for artists such as Alicia Keys, Katy Perry, Nicki Minaj, Ke$ha and Kelly Rowland. He also toured with Ricky Martin and recently co- choreographed his newest single, "Come With Me". He was seen performing on various TV shows such as X-Factor, Glee, Dancing With The Stars and VH1 Divas as well as award shows like the Grammys, Kid's Choice Awards, American Music Awards and People's Choice. Vincent is also a proud member of Dana Foglia Dance Company. Vincent continues to train and take classes and always sees himself as a student, in both dance and life in general. There is always more to learn and for him, growth his key. 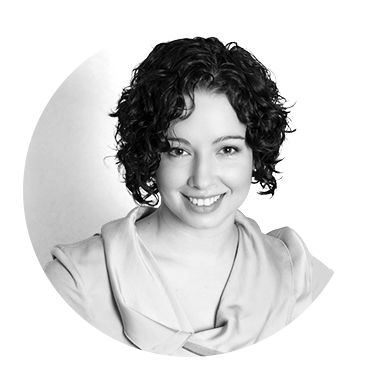 Melanie was raised in Richmond Hill, Ontario and has trained in ballet, jazz, lyrical/contemporary, hip-hop, and tap. She began ballet classes at the age of 5 years old and has since then earned her Advanced Foundation from the Royal Academy of Dance (R.A.D.) with distinction and her Pre-Professional certification in Vaganova ballet. In the summer of 2009, Melanie was a top 6 competitor on the second season of So You Think You Can Dance Canada where she got to work with choreographers such as Stacey Tookey, Blake McGrath, Luther Brown, and Jean-Marc Genereux. 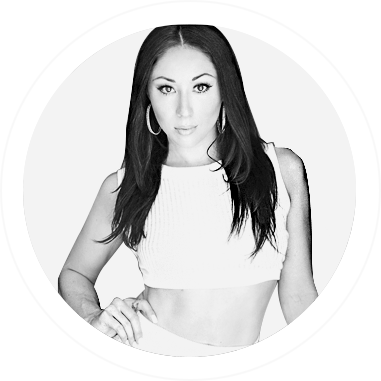 After SYTYCDC, Melanie traveled with The PULSE dance convention in 2010 as Mia Michaels' dance assistant, and she also had the opportunity to assist Brian Friedman, Wade Robson, Dave Scott, Gil Duldulao, Tyce Diorio, and Cris Judd. In addition, Melanie has experienced great success in the industry working with artists such as Justin Bieber, Kanye West, Katy Perry, Kat Graham, Victoria Duffield, and Keshia Chante, and has danced on Glee, Two and a Half Men, Suburgatory, Dancing With The Stars, America's Got Talent, and X Factor. She can also be seen in national commercials for Sensa and the Twister Dance commercial featuring Britney Spears. Melanie is a proud member of the Dana Foglia Dance company, as well, which is based out of both NYC and LA. Most recently, she was filming the upcoming movie "Strings" as a dancer and actor alongside Kherington Payne, Lucas Till, and Josh Duhamel. Melanie is currently living in LA pursuing her dreams, and she is always excited to share her passion and knowledge with younger dancers. Jayme Rae Dailey was born and raised in Montreal, Canada. She took her first ballet jazz class with her twin sister, Jenny, at the young age of 3. She has trained in gymnastics, acrosport and a variety of different dance styles from hip-hop to contemporary to salsa. She now resides in Los Angeles California where she pursues her dance career. She has danced for artists such as Chris Brown, Nicki Minaj, Lil Wayne, Kelly Rowland, Keyshia Cole, LL Cool J, Nicole Scherzinger, Sheila E, Mike Posner and Adam Lambert to name a few. She has also worked on tv shows such as Smash, Dancing with the Stars, America's got talent, So you think you can dance Canada, So you think you can dance U.S and The X-Factor. She is a performer at heart who loves the versatility of dance and movement. Montreal-born Kim Gingras is currently on tour with the world famous BeyonceÌ�. Also having shared the stage with some of the top names in entertainment, including Nicole Scherzinger, Christina Aguilera, The Wanted, Pitbull, Ne-Yo, Nicki Minaj and 50 Cent, she attributes her success to a lot of hard work and unwavering commitment to her career. 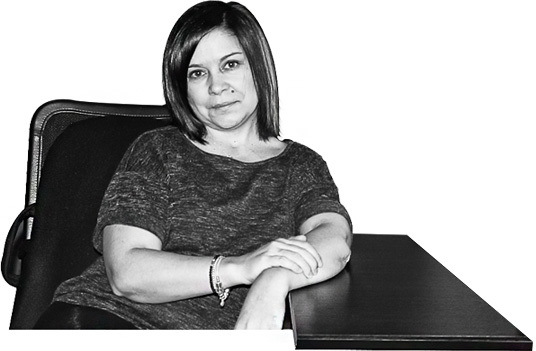 Kim now resides in North Hollywood, California, where she pursues her dream even further. 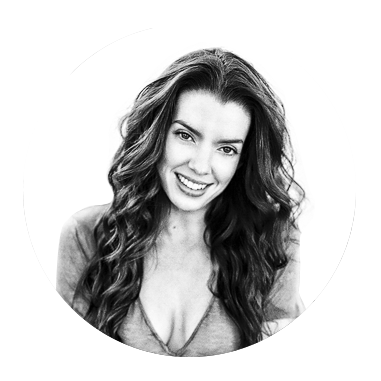 Tatiana started dancing at the age of five and has since then been able to travel between Toronto and Los Angeles training with many of the industries top leaders. Her passion for the art was one she could not ignore. A career as a dancer and choreographer was inevitable. 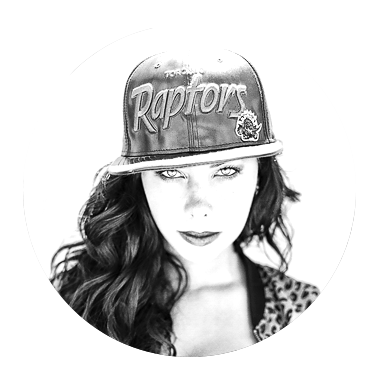 Tatiana's credits include; So You Think You Can Dance Canada, Monsters of Hip Hop, Cobu, Alvin & the Chipmunks 3D, The Listener, iSkin, Harvey's, just to name a few. She has worked with artists on numerous live and touring performances, some of which have enabled her to travel all over the world. Some of these artists include Nicki Minaj, Sean Kingston, Carly Rae Jepsen, JoJo, Daft Punk, Ke$ha, Hilary Duff, Howie D., Massari, Blake McGrath, Keisha Chante, George Nozuka, Shawn Desman, Kim Davis, Dru, and more. Already a successful dancer, Bree immersed herself in acting classes to round out her skills as a performer. Merging the two disciplines, Bree landed the lead role in the Family Channel show "The Next Step", in which she plays "Kate". From there she has gone on to play a supporting role, "Roxy" in MuchMusic's film "Alive", as well as "Frankie" in the short film "56 Pink Flamingos". After many years of professional dance training, her career took off after she made the Top 20 of Season 3 of So You Think You Can Dance Canada. Bree grew immensely as a dancer and performer, and immediately fell in love with the camera. From there, she went on to perform in hit television shows such as "Nikita", "Bomb Girls", "Baxter", "Over The Rainbow", "Canada's Got Talent", and as Ashley Tisdale's body double in "Hellcats". Her feature film performances include "Make Your Move", ABC's "Desperately Seeking Santa", and CTV's "Turn The Beat Around". Not long after SYTYCDC, Bree started exploring other facets of the industry. She became very interested in the behind the scenes world of choreography. She has been blessed to have had the chance to work with some of the industry's top players, including being the assistant choreographer for Nappytabs on "Make Your Move", and Danny Teeson on Disney's "Frenemies". She was also the assistant choreographer for the Staples "Back To School" commercial that featured Glee's Heather Morris. Using the skills she learned from these mentors, Bree went on to choreograph for a CTV pilot entitled "Stay With Me", as well as a promo for the upcoming Grace Kelly biopic "American Royalty". She has also choreographed Shad's "Remember 2 Remember music video, Drake's musical director Ardian Eccleston's "Time Bomb" music video, and a commercial for Pepperidge Farms. Her most exciting project as a choreographer was for Carly Rae Jepsen's performance of "Call Me Maybe" for the 2012 MMVA's. Bree's stage credits include numerous industrials for companies such as RBC, Shoppers Drug Mart, LG, Bell Mobility, MAC Cosmetics, Sears and many more. 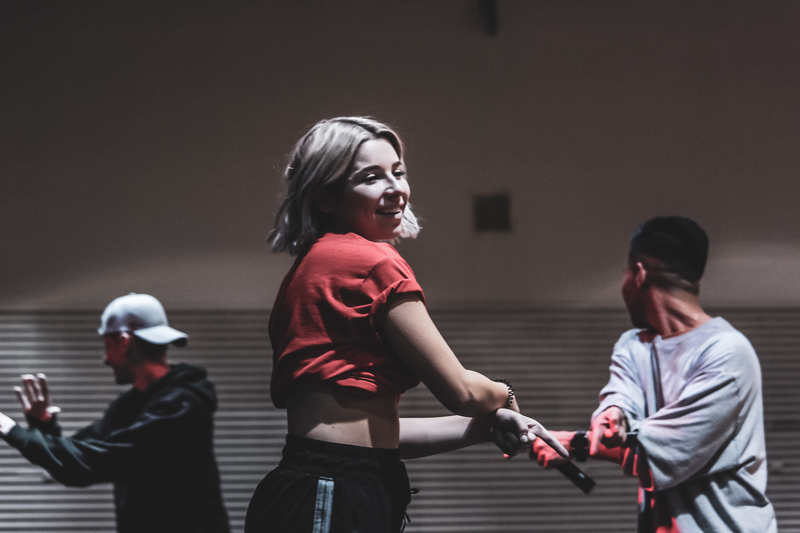 She has performed with a host of major Canadian pop stars, including Carly Rae Jepsen, Shawn Desman, Blake McGrath, Danny Fernandes, Massari and many more. Bree has also been involved in company work, dancing in Linda Garneau's Helix Dance Project in both the '08 and '09 seasons, as well as with the Canadian Opera Company in their Dora Award winning production of "Iphigenie en Tauride". Bree was also lucky enough to represent Toronto in the 2011 Parapan Games in Guadalajara! Ryan Foley has had the opportunity to perform and train with many talented artists over the years. Highlights include tap legends Gregory Hines, Savion Glover, and Heather Cornell. He has also performed with the likes of Blues legends Harrison Kennedy and Michael Pickett, The Bare Naked Ladies, and Hip Hop artists KOS, Mystro Fresh West, and Snow. Ryan currently teaches and performs in Toronto with the Toronto Rhythm Initiative. Heâ€™s worked with TRI in over 10 live shows since their conception in 2011, featuring music from a wide range of artists such as Stevie Wonder, Oscar Peterson, Ray Charles and many more. This summer Ryan was a featured artist at the 2013 TD Toronto Jazz Festival with TRI, and performed in Tap Internationals as part of the NYC Tap City Festival. Ryanâ€™s most recent venture was participating as an original cast member in Love.Be.Best.Free, a full-length tap show in Vancouver choreographed by Danny Nielsen. Kevin Howe has been dancing since the age of 5. After 14 years of training in various styles of dance including Jazz, Tap, Hip hop, arco and contemporary in his hometown Ottawa, ON he decided to make the move to Toronto to begin his professional career. 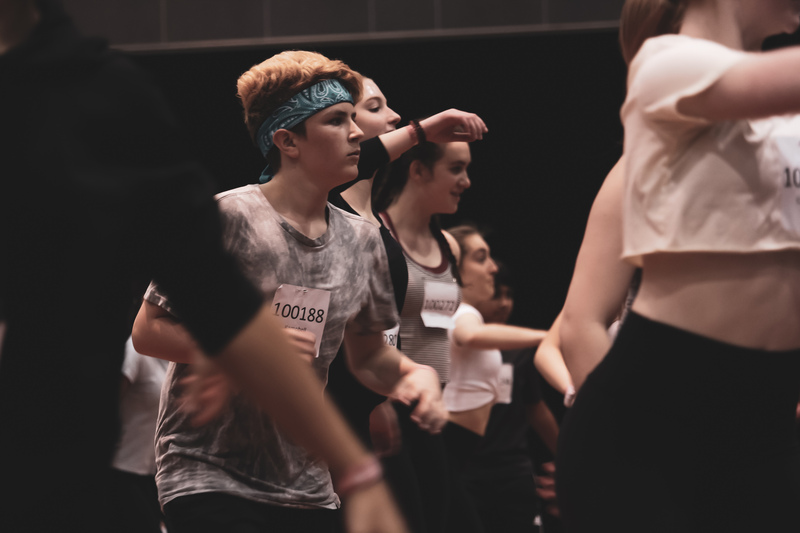 Since then he has taken the dance world by storm from all angles, working with big names like Girlicious, Blake McGrath, Ke$ha, Russel Peters and Lady Gaga to name a few. On top of his stage performances, he has also ventured into film. His film and TV credits include Sharpay's Fabulous Adventure with Disney's Ashley Tisdale, HBO's Hellcats, Disney's Frenemies, Canada's got talent, and CBC's Over the Rainbow. Kevin was also chosen to be apart of Canada's top 22 on season 4 of So You Think You Can Dance Canada. 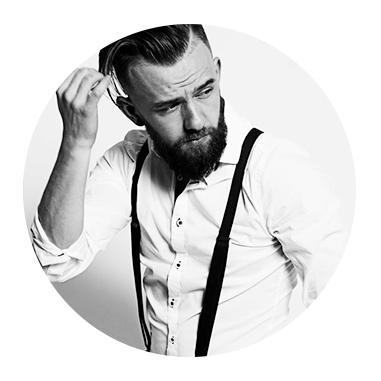 Recognized for both his dance abilities and choreography skills, Howe has made a name for himself in the industry amongst other well established professionals. Having won the national title of "Americas Young Choreographer of the year" in both 2007 and 2010, his creative and innovative style has brought Kevin a lot of positive attention and he has since been given the opportunity to teach workshops and masterclasses to students and teachers across Canada. 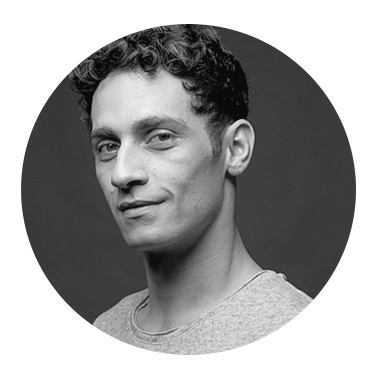 Hani Abaza originally Jordanian grew up in Ontario, Canada where his love of dance and movement stemmed. He has worked all over the world for reknown artists and companies like Patty Labelle, Shaka Khan, Kelly Clarkson, Adele, Feist, Shawn Desman, Shaping Sound, Sonya Tayeh Dancers, Cascada, Jully Black and Florence and the Machine to name a few. His base is now Los Angeles where his dance career has led him to work with the leading talents of our generation including Travis Wall, Wade Robson, Mia Michaels, Mandy Moore, Sonya Tayeh, Noemie Lafrance and Luther Brown, on projects like Cirque Du Soleil, MTV VMA's, AMAâ€™S and the Brand So You Think You Can Dance as a contestant in Canada, choreographer in Vietnam and associate to world famous Choreographers on the hit USA show. Along with national award winning choreography Hani has been named one of Capezioâ€™s top choreographerâ€™s in North America 2009 and 2012. He is also sought out to teach Master classes in many countries, to share his experience and knowledge in the art of dance. He is now creating and performing across the world and as international co-ordinator for SYTYCD in Asia he is bringing continents together through the language of dance. Hani's passion for movement and dance is immeasurable; his unique outlook on dance in life adds a fresh face to movement, and his vision is a relatable innovation of eye candy. 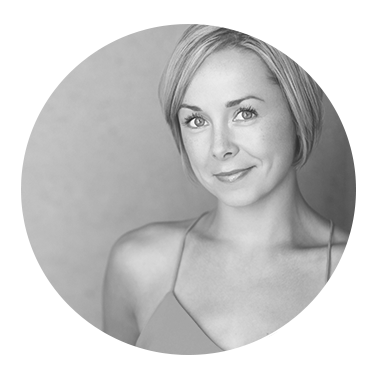 Originally from Edmonton, Liz was a competitive dancer at Shelleyâ€™s Dance Company where she trained extensively in Ballet, Jazz, Lyrical, Modern, Tap and Musical Theatre from the age of 5. Her professional career has allowed her to travel all over the world. She began with Princess Cruises as a featured dancer, she then travelled to Tokyo, Japan where she was part of the featured pas de deux couple in "Encore!" at Tokyo Disney Sea. She also went to Egypt and Israel under Big Fish Management to perform alongside Lisa Brokop for an inspiring show tour for the Canadian military. Liz was able to exercise all of her skills in dancing, acting and singing when the love of the stage drew her to the world of musical theatre. Throughout her career she got to play a wide variety of characters, in Theatre Calgaryâ€™s production of "Anne of Green Gables" she played Gertie Pye, a flashy chorus girl in The Arts Club production of "Spamalot" and a dream come true performing in the North American Premiere/Toronto Mirvish production of "Dirty Dancing". She performed as Ensemble and 1st "Baby" understudy. After an 18 month run Liz went on to play the role of "Baby" 52 times! Her television credits include assisting Canadian Choreographer Stacey Tookey on So You Think You Can Dance Canada. She was part of the creative team for â€˜Reefer Madness" where she helped create dance sequences for the film. Liz can be seen on various episodes of the CW Networkâ€™s "Hellcats" as a featured dancer, and as Ashley Tisdaleâ€™s dance double. She was also Maggie Lawonâ€™s dance double in the musical episode of "Psych", and a featured dancer in ABCâ€™s "Once Upon a Time" and Nickelodeonâ€™s "Jinxed". Transitioning to the world of choreography Lizâ€™s work can most recently be seen on Super Channelâ€™s "When Calls the Heart". Other credits include choreographing and directing the Czech Republic fashion show for the 2010 winter Olympics, and choreographing the opening number for the Times of India Film Awards at BC Place. 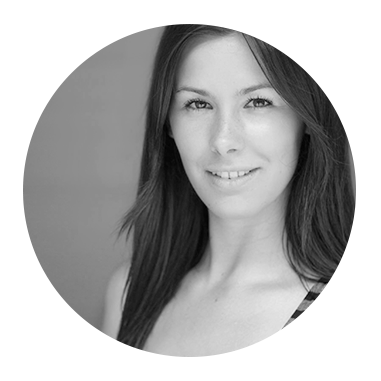 Liz loves to share her passion for what she does with pre-professional and professional dancers across Canada via master classes, adjudicating or setting choreography. She is currently on faculty at Harbour Dance Centre. 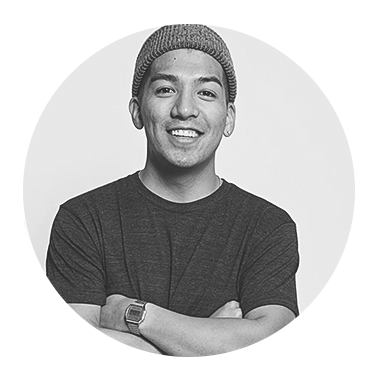 Jerome Esplana is one of the most elite choreographers from Vancouver, BC. He began dancing at the young age of 7. Showing major potential and talent so early, he was given the opportunity to lead and choreograph for the competitive dance team, "Xtreme Soul Style (XSS)." They were crowned champions in the "Canadian Hip Hop Dance Competition" from 2007-2009. From there, his name spread and grew in the local dance community where he was found teaching and setting choreography on teams, companies, and local artists. Jerome has been nominated for the "Monsters of HipHop" show and has been given many awards for choreography and outstanding dancing in Canadian dance competitions. He has also received scholarships to studios like Debbie Reynolds and Millennium Dance Complex in LA. With the help of social media, Jerome began to post videos of his choreography and his work instantly spread worldwide. 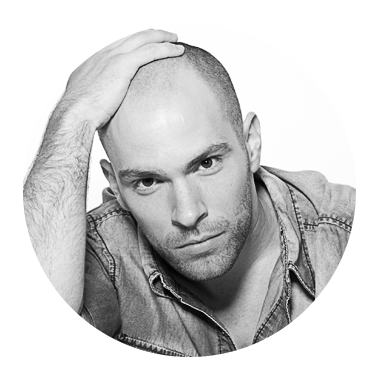 He has been fortunate to teach workshops in Germany, Portugal, Mexico, Spain, France, Italy, Israel, Switzerland, Russia, Ukraine, Hong Kong, Singapore and more. He has taught at conventions like Urban Dance Camp, REACT, OHH Madrid, Movement Lifestyle, Danzpeople, Boogiezone, SOREAL Studios, Soundbox, and MYWAY Dance Camp Russia. 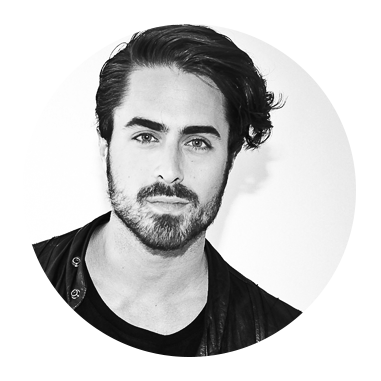 He has worked as a dancer for K-OS, Travis Garland, Kenny Ortega on "Disney's Descendants," and has been an assistant choreographer in the closing ceremonies for the "Vancouver 2010 Winter Olympics". Lindsay Nelko has established herself as a choreographer whose conceptual vision and execution has moved audiences around the world. Unique, diverse, theatrical and a fusion of ballet, modern and jazz techniques her work stands out as high impact and extremely powerful. Lindsay has been a Choreographer on Season 10 of FOX's SO YOU THINK YOU CAN DANCE where Executive Producer Nigel Lythgoe said she was â€œa true asset to this programâ€�. She was an associate choreographer on FOX's hit show THE X FACTOR and NBC/Universal Feature Film American Girl: Saige Paints the Sky. Lindsay choreographed a Design Lab & Zixi Inc. live event Royal Wedding in Dubai directed by world renowned Director/Producer/Writer Amy Tinkham. Lindsay has work-shopped her new works with dancers from Canadaâ€™s Royal Winnipeg Ballet Company. As well Lindsay choreographed and co-creatively conceptualized the Music Video â€œGet Out Aliveâ€� for Canadian Artist Sheena Grobb from Red Shoe Music Inc.
After being AWARDED 2nd Runner-Up at the 2013 CAPEZIO A.C.E AWARDS in New York City Lindsay Co-Produced, Directed and Choreographed her Contemporary Ballet show "AWAKENING" August 2014, at the Alvin Ailey Citigroup Theatre. Her stellar cast included professional dancers appearing courtesy of Complexions Contemporary Ballet and Cedar Lake Contemporary Ballet. DANCE SPIRIT MAGAZINE â€œI count myself as lucky to have been in the audience, witnessing the next big step for this up-and-coming choreographer.â€� â€“ Nicole Loeffler-Gladstone. Most recently, Lindsay was named the 2015 BEST EMERGING CHOREOGRAPHER by DANCE MAGAZINE! She choreographed the Nationally (Canada) Televised Opening Ceremonies for the Canadian Museum for Human Rights. Lindsay was a finalist for the 17th Annual McCallum Choreography Festival in Palm Dessert CA. Lindsay won the coveted 2nd Place Grand Prize and was thrilled to be working with dancers appearing courtesy of Smuin Ballet Company of San Francisco under the artistic direction of Celia Fushille. Winning four "Choreographer's Pick" awards and the 2012-2013 "Pulse Featured Choreographer of the Year" at their New York City Finale, Lindsay's choreography has played a critical role in The PULSE On Tour conventions throughout North America. 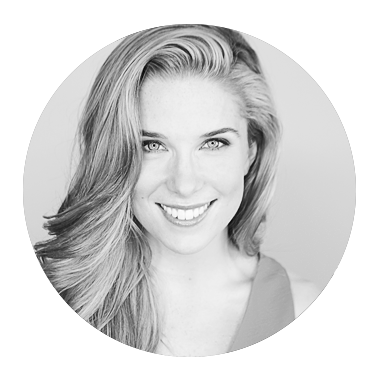 Lindsay has represented her country of Canada as a choreographer at the International Dance Organization (IDO) World Dance Championships in both Germany and Poland, where her choreography helped team Canada win the silver and bronze medals in 2010 & 2011. As a top choreographer, she also donates her time to worthy charitable events. As well she adjudicates major competitions and conventions throughout Canada and the USA. Since 2003, Lindsay has taught students of all ages and is well known for her attention to detail, technique, musicality and artistic expression. She incorporates real life experiences as well as her acting and theatre training to tell a story through her movement. 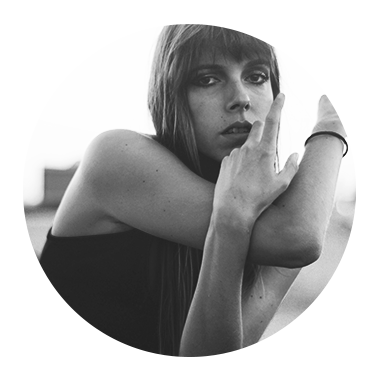 Lindsay is a young, fresh talent with an amazingly natural ability to create breath-taking dance pieces. Juliana Kelly began her dance career at the age of three and continued her dance studies in ballet, jazz, tap, lyrical, hip hop, pointe, and acrobatics at a competitive level, where she competed across Canada and the United States. Since 2004, her focus has shifted to specializing in tap dance. Upon graduation of high school, Juliana joined Downbeats Tap Company under the direction of Cathy Duncan where she danced for two years performing in the East Coast Tap Conference (ECTC), Taking the Rhythm Train, Embrace the Rhythm, Toronto's Live in Culture Campaign and many other shows across Ontario. In 2006 Juliana joined Funk Factory National Tap Dance Ensemble under the direction of Shawn Byfield. Funk Factory headlined events such as National Tap Dance Day (2006 and 2007), The Feats Festival (Edmonton, AB), Live in Rhythm and Deloitte's 50 Best Managed Companies Gala. 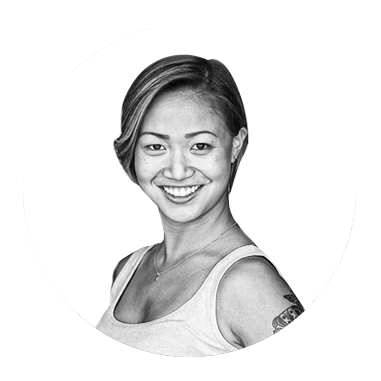 Currently Juliana works as a contributing artist with the Toronto Rhythm Initiative (TRI), a collective of tap dancers committed to voicing the artistry of Torontoâ€™s professional tap dance community. With the Toronto Rhythm Initiative she has performed in nine TRI shows to date. She has sat on the faculty for TRI's Youth Ensemble for many years, and mostly recently, has begun working as co-producer for the Youth Intensive. Juliana spent time studying abroad with Heather Cornell, and performed in Walk To The Beat (Nyack, New York), Rhythm Lives! (Montreal Tap Festival) alongside Arthur Duncan and members of Tapestry Dance Company, as well as performing in the Inaugural Toronto Body Percussion Festival. Juliana's love of dance has also led her to many teaching opportunities across Ontario including guest choreography, master classes, summer intensives, workshops, and conventions. Her main focus is as a teacher and choreographer, with a specialization in tap. She has received multiple accolades for her work, and her students are well known in the dance community for their technical and musical excellence. Juliana strives to spread the love, and respect of tap dance to all her students. Proudly based in Toronto for over a decade, Allison Toffan has been busy stirring up momentum in the Canadian tap dance community. Recognized by the Canada Council for the Arts, FACTOR, and the Toronto Arts Council, she has been awarded grants as an emerging dance artist, developing musician, and choreographer. Sheâ€™s studied privately with world-renowned tap dance artists Heather Cornell, Brenda Bufalino, and Max Pollak. Career highlights include 8 years as a principle dancer with Turn On The Tap under the direction of Paula Skimin, 2010 Olympic Opening Ceremonies, Warehouse 13 Series Finale, Festival Dance Encore with Tri-tone/Tasha Lawson, 2013 TD Canada Trust Toronto Jazz Festival, TapCityâ€™sÂ Tap InternationalsÂ with Lisa La Touche (NYC), Montreal Tap Festivalâ€™sÂ Rhythm Lives!Â - with living legend Arthur Duncan, and successfully producing three full seasons of work by establishing the Toronto Rhythm Initiative - a platform she created to consistently voice the artistry of Torontoâ€™s tap dancers in collaboration with live music. Teaching credits include Artist in Residence - Ottawa Rhythm Initiative 2012/13, Dance Faculty at Sheridan College, Randolph Academy, Montreal Tap Festival, Vancouver International Tap Festival, BC Performing Arts Festival, Manitoba Dance Festival, as well as multiple workshops across Canada and the US. 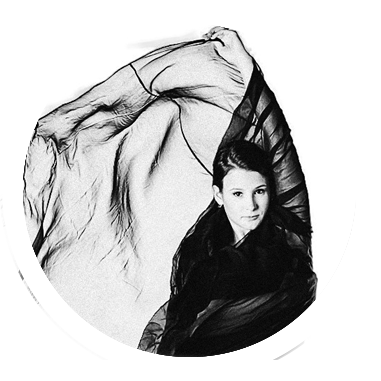 This past year, Allisonâ€™s first commissioned work was presented at the Inaugural Toronto Body Percussion Festival forÂ NextSteps Dance Series, performed in Lisaâ€™s La Toucheâ€™s world premiere ofÂ Hold OnÂ at the Vancouver International Tap Festival, and closed up 2014 by joining forces with co-producers Soraya Peerbaye and Josh Grossman and to present a full-length concert of tap dance with his 18-piece big band, the Toronto Jazz Orchestra. Mostly recently, she kicked off 2015 with her second mulit-city US tour with The StepCrew, a Celtic live music and percussive dance show that meshes Irish, Ottawa Valley step dance, and tap. Originally from Canada, and now based in Los Angeles, Juliette Irons is quickly becoming well-known for her abstract movement all over North America. After spending one season as a principal dancer for MaSHUP contemporary dance, as well as training with Netherlands Dance Theater in for a summer in Holland, Juliette is now the creative director of her own company called "Art.uncensored" - which debuted their first show "DISORDER" in March of 2013. Also, Juliette was one of 5 soloists featured in "Regretless" - a collaborative dance show with musical artist Richard Walters. 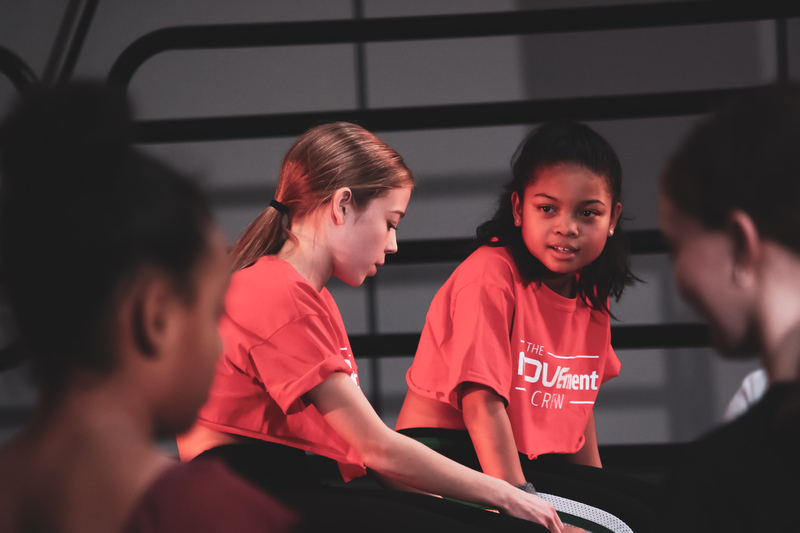 Juliette recently traveled on a 3-city teaching tour of Australia, including the Brent Street Studios Arts College Program in Sydney, where she also set choreography. Juliette was chosen to speak and present her work at the UK Synesthesia Association Conference in London this year, as well as held master classes at Studio Harmonic in Paris. 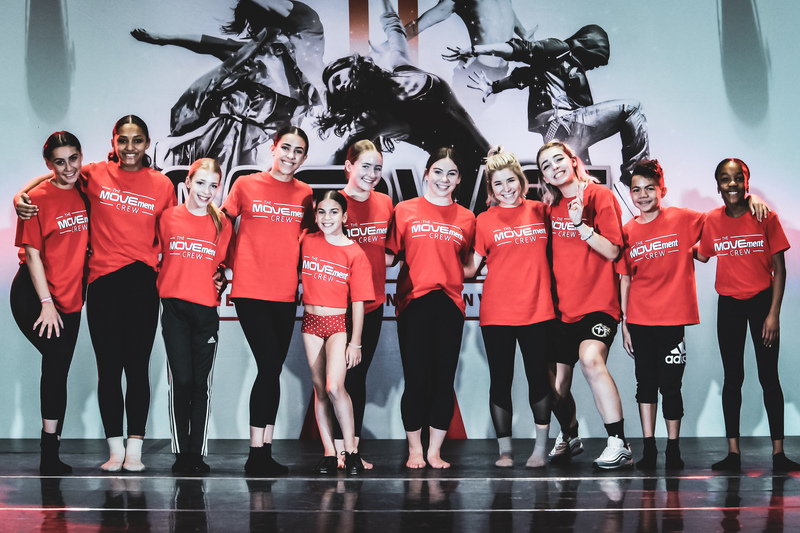 This past year Juliette was a faculty member of Top 10 Dance Challenge Convention tour, and teaches regularly at EDGE performing arts center in LA, as well as Movement Lifestyle and Millennium Dance Complex. Juliette was also selected as a finalist for the 2013 and 2014 Capezio Ace Awards and is now working on an upcoming abstract contemporary show for AXIOM. She continues to travel around choreographing and teaching her unique brand of musicality and technique. Choreographer, artistic Director, teacher and student, Linda has had a varied career thus far, setting work for stage, film, television and ice. Linda is the artistic director of the Helix Dance Project, whose works include The Waiting Room, Rain, Unearth, and Integration. Theatre credits include three seasons with The Shaw Festival, as well as productions for Canadian Stage, Citadel Theatre, National Theatre Centre, Royal Manitoba Theatre Centre, Tarragon Theatre Company, and Sheridan Theatre. Other credits include the Opening Ceremony for the Pan Am Games (Guadalajara), Juno and Gemini Awards, and repeat guest choreographer for Stars on Ice. With a broad range of vocabulary to pull from, the art of translating emotion and thought into movement is her passion. Her continued love of the craft, fused with storytelling and musicality, have garnered her a unique niche in the community. 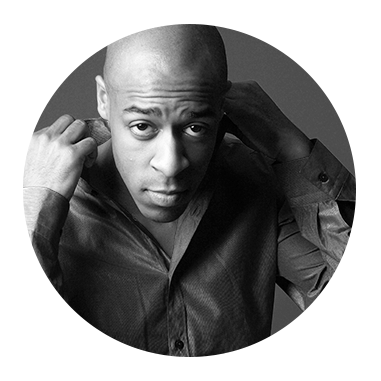 Known also as the Founder, Director, and Choreographer of 2-time World Hip Hop Dance Champions,Â Brotherhood, Scott continues to lead his team,Â travelling and showcasing at the most prestigious events around the world. Tiffany McLachlan is the former owner and director of a very successful and innovative studio called Tiffanyâ€™s Dance Elite in Hamilton, Ontario. She trained extensively in all areas of dance across the U.S and Canada. She resided in Los Angeles while on a one year dance scholarship at Tremaine Dance Centre. Many of Tiffanyâ€™s students have exploded onto the dance scene. These trained professionals have been fortunate to work with some of the hottest artists in the industry including Michael Jackson, Janet Jackson, Justin Timberlake and Brittany Spears. The list continues with Jennifer Lopez, Aaron Carter, Kevin Federline and most recently, Celine Dion, Lady Gaga and Cirque de Soleil. Her students can be recognized on hit television shows and feature films, such as So You Think You Can Dance, Star Search, Life with Derek, Dance Life, Chicago, Rent and Confessions of a Teenage Drama Queen. Tiffany is in demand in the television and industrial world as well. She has choreographed shows for the Gemini Awards, Fashion Cares (Aids Benefit) featuring Lionel Ritchie and Geri Halliwell, Wella Hair Show, Mac Cosmetics, the Royal Bank of Canada and Bloch Dancewear. Tiffany was honored to choreograph on the show â€˜Verb.atimâ€™ for Helix Dance Project and most recently to work on the Canadian Screen Awards. Tiffany travels across North America teaching master classes. Recognized for her originality and outstanding technical abilities, she is very passionate about the art and expression of dance. In 2006, he was tapped to be the principal dancer in the video game adaptation of Warner Brother's 'Happy Feet'.Â In 2007 and 2008, Travis participated extensively as a Tap Dance consultant for Cirque du Soleil.Â Since then, he has performed in Tandem Act Productions' 'Diary of a Tap Dancer' at the Apollo Theatre, and the touring show 'Wonderland: A Tap Tribute to Stevie Wonder', created by Ayodele Casel and Sarah Savelli. He was a featured Tap Dancer in the Opening Ceremonies to the 2010 Winter Olympic Games in Vancouver. In the same year he toured North America with the raucous and rowdy internationally acclaimed Australian Tap Dance show,Â Tap Dogs. From 2010 to 2013, Travis jumped into the dance company world as a principal dancer with Tapestry Dance Company in Austin, Texas.Â During his time there he was awarded the Austin Critic's Table Award for best dance artist in 2011 and 2013.Â In 2014, he embarked on a self-produced world tour, filming his web series entitled â€™The Interviews' featuring celebrated pioneers in the tap dance world.Â He recently debuted new works in Thomas Marek's show NOLA in Hamburg, Germany. He currently lives in Brampton, Ontario and hosts a weekly podcast Â (The Tap Love Tour Podcast, subscribe and download on itunes) featuring interviews of a myriad of inspiring artists.Â Look out for him, because the best is yet to come. THANK YOU for a great weekend!! We loved all the teachers and how well organized the whole event was. As always it was great seeing all of your friendly faces. Amazing experience! Great teachers, fun combos and well organized. Great convention! My students and I loved it from beginning to end! Great Convention, lots of energy and a positive message! Thanks to the MOVE team - our dancers had a great time. Thank you for a wonderful weekend of dancing from The Dance Element. I attended your convention this past weekend. I just have to say that my students and I had a great weekend! The faculty was fantastic, inspiring, and of course extremely talented. The choreography was attainable, the pace at which the teachers taught it was great and I know all my dancers felt very accomplished at the end of it all. So thank you very much! My kids LOVED the convention! Wonâ€™t stop talking about it! Thank you! Incredible! Organized, fun, creative, professional and a repeat for next year!!! Alumni from So You Think You Can Dance - worldwide! Our PROFESSIONAL and EXPERIENCED faculty will offer workshops in the following dance genres: Contemporary, Jazz, Hip Hop and Tap. Faculty will provide professional instruction in a positive, intimate and rewarding environment, bringing their unique choreography and experience to each workshop. With a platinum debut album, a sophomore Juno Award winning album for Best R&B/Soul Recording, chart-topping singles & videos, movie roles and international accolades under his belt, singer/dancer/songwriter/producer Shawn Desman was poised to launch his highly anticipated fourth album. Hot on the heels of his FRESH album, Desman was ready to release his fourth studio album "ALIVE" in a way no other artist has before. His new album launched in conjunction with a movie set to the music of his new release. The movie aired on MuchMusic starring Shawn Desman, Heartland's Kaitlyn Leeb, Degrassi's Melinda Shankar, and Lost Girl's K.C. Collins and provided audiences with a brand new way to experience music and visual celebrity content. It is undeniable that Desman's fourth highly anticipated album "ALIVE" featuring his Platinum selling chart topping single "Nobody Does It Like You", "Dum Da Dum" and "Too Young To Care" represents a tremendous leap in the next direction for a young man who has spent most of his life working diligently at becoming a world renowned entertainer, with personal and professional accomplishments that leave an indelible mark on the human experience. 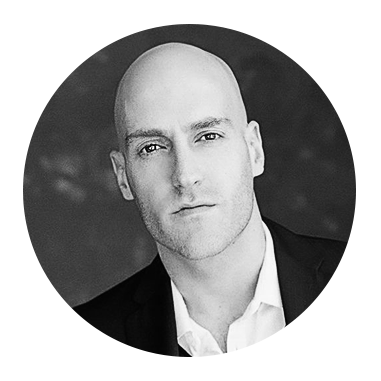 As Co-Owner and Co-Founder of MOVE Dance Productions, Shawn also brings over 5 years experience in the dance competition industry. His roots in the dance community allows him to bring passion to every MOVE Dance event, delivering a unique experience and atmosphere for all dancers. brings over 5 years experience in the dance competition business. liaison, client management and registration management. commitment and dedication to the industry. Please get in touch with us for additional information about MOVE. You can also call us at 647-342-0548. © 2019 Move Dance Convention. All Rights Reserved.